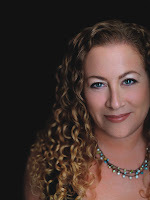 JODI PICOULT is the author of eighteen novels, including the #1 New York Times bestsellers House Rules, Handle With Care, Change of Heart, Nineteen Minutes, and My Sister’s Keeper. She lives in New Hampshire with her husband and three children. Visit her website at www.jodipicoult.com and also read more on her "bio" at her website HERE. Most of Jodi Picoult’s novels center around an important social issue and her latest best seller, LONE WOLF, is no exception. Having written about everything from teenage suicide to gay rights, I think HOUSE RULES about Asperger’s Syndrome was my favorite so far. 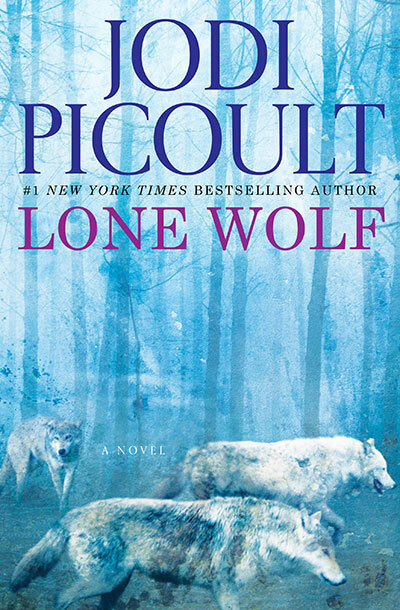 Now in LONE WOLF, Picoult tackles the issue of whether or not to keep a loved one alive on life support. She delves into who has the right to make this final decision and weaves her story around Luke Warren, a man who has been accepted by a pack of wolves through his extensive studies and work. Luke, whose chapters are told through the well researched information on wolves, has been in an accident and has a traumatic brain injury and is only alive due to his life support. LONE WOLF is told through Jodi Picoult’s trademark characters that are easy to relate to while still being flawed. Changing chapters according to each character’s point of view moves the story along while it brings the reader into each of their emotionally charged lives. Cara is Luke’s 17-year-old daughter who has lived with him ever since her mother, Georgie, remarried and started a new family with Joe Ng. Joe is a lawyer who actually winds up as the defense attorney for Cara’s older brother Edward. Edward was in Thailand teaching when he is called home following his father Luke’s accident. The compelling story is told so well through these characters and I do think the “breaks” when Luke’s chapters tell about the wolf pack are vital to the story. It isn’t until near the end when I gasped out loud that I saw just how important the wolf pack chapters were. As Cara and Luke disagree about what will be done about their father, the story unfolds with so many layers that the reader becomes seriously invested in each of these people. We learn about what really caused Edward to leave home suddenly years ago, which according to Cara was the start of her parents marriage problems ending in divorce. We also learn what Cara’s real part in the accident was that has Luke now in ICU on life support. How the story ends and where it takes the readers is pure Picoult. You won’t be disappointed and will be eager to find others to discuss the twists and turns in the novel. A great book for a book club discussion, Picoult shows how different people’s beliefs are when it comes to the right to die, as well as how tragically they react in such a situation. I would love to read this book. What a very hard decision that would be to make. (Which is why everyone should have their wishes in writing, so no one has else has to make it) I have enjoyed reading her books in the past, and I do agree that she would address this issue very well. I entered the face theif. As we go on this journey called life we inevitable come to a cross road where we have to make decisions and I agree with Debbie that a written plan is the the best way to approach these "hard to make" decisions. I also have found Jodi Picoult novels to be fantastic books into the gray areas of society and she handles these areas with finesse. I am very interested in "Lone Wolf." Thanks for the opportunity. I know many people are put in this position to make these decisions.. curious as to how the author writes about it. I like Jodi Picoult on FB and posted about the contest. Jodi's books never disappoint. This is the ultimate moral issue and I would hope the issue would be resolved in the best way to both parties. Most of Jodi Picoult’s novels center around an important social issue and this one is an important one for me. I just lost my cousin who was 54 years old. She had a rare disease and was in s wheelchair since she was a teenager. As she got older(which the doctors said she would not live through her 20s), she lose her ability to talk and then to eat except through a turkey baster. She donated her body to science, so that they could possibly find out a cure to help future generations. What an amazing person she was! She's running with the angels now! I absolutely LOVE Jodi Picoult so I already liked her on Facebook :). My favorite answer of Jodi Picoult's Q and A was when she said her greatest fear was losing the people she loves...I have the same fear. Jodi Picoult's website is just so cool! My favorite part is the "Take A Peek" section where you get the chance to read a little of her upcoming book...which gets me in the mood to read more! +5 March Facebook bonus entries #1. +5 March Facebook bonus entries #2. +5 March Facebook bonus entries #3. +5 March Facebook bonus entries #4. +5 March Facebook bonus entries #5. I love how Jodi Picoult always picks topics that press against your comfort zones and what you think you believe about a topic. I find myself feeling very strongly about the subject of the book when I begin reading and then finding my resolve weaken and sometimes change as the characters present their cases and you begin to feel for all of them. She is just so talented! I liked Judy Picoult on her Facebook page. I want to see how Jodi Picoult handles this controversal subject. Many years ago, the doctors asked both me and my step mother the same question that is asked in this book. My father had had a terrible stroke and was in a coma. She and I decided differently and then later she changed her mind. She never forgave me for my decision. I knew my father so throughly that I am sure that he would have chosen the same way for me if I was in his position. That was so long ago when living will were unheard of. But even now, people die without them and the decision still has to be made. Unfortunately, it has to made at the same time that you are grieving. On Author Revealed, she was asked what her greatest fear was. She said loving her loved ones. I agree so much. I have already lost so much of my family and friends, it and it is worst part of life. I learned about Shaun Ellis who has lived with the wolves. I know that wolves are very family oriented so I interested in learning even more about them in this book. I entered the giveaway for "Scones and Bones". I entered the giveaway for "The Face Thieves".
" Adrift on St. John". I entered the giveaway for "The Sacred Thread". I entered the giveaway for "The Agony of the Leaves". Liked Jodi on FB and left comment about your review here on your blog. Many families have been left to decide if they should pull the plug or hold off a while longer. This is a subject that I would like to read about and I know Jodi's book will be very good. Thanks for opportunity to enter. Raising three smart, caring, considerate kids who make me smile even when they are driving me crazy. This is one of the hardest jobs but so rewarding. I like the answer to these 3. Jodi Picoult always writes to most fascinating stories that have controversy between emotion and logic. This one will not disappoint! I love Picoult's books and would love to read this one. I would like to see what cause Luke to be estranged from his Dad. I agress with Jodi in that Chocolate is my fvorite food also. I love the photo section on her website. I entered the CONTACT: THE BATTLE FOR AMERICA SERIES- THREE BOOK SET GIVEAWAY . I entered the Lethal giveaway. I liked Jodi's page and left a comment for the giveaway. I am interested to see what Cara's part in the accident was and who's decision "won" in the end. I think my greatest regret is the same as hers...Not traveling around the world after college. I really missed out on that one. She and her daughter co-wrote a tween/YA book coming out in June. I am a big fan of Jodi. I still remmeber the first day I read sister's keeper and the tenth circle. I am very intrigued in her take of Asperger's, and I am sure it will be another poignant novel. I hope I'll win! I entered the giveaway for upright piano player. I entered 50% Off Murder.